What is the Grid Tied Solar System? Grid-tied solar systems produce energy, transmitting this power to your utility company’s electrical power grid. Essentially, this implies the utility company will be paying out you to generate electricity for them, because the power you have produced counts against the energy your property or company utilizes. Your own solar panels may generate DC (Direct Current) electrical energy. This kind of electrical energy will be run through an inverter to generate Alternating current (Alternating Current) energy. This electricity is then run into your Alternating current electrical power panel, which feeds energy to your utility companies power grid. In case your solar energy array generated sufficient electrical power, your utility meter would certainly begin to run backward! solar panels You will need solar panels to get the solar energy and transform this to DC power. The quantity and type of solar panels will probably determine the amount of power you’ll be able to generate, as will your current geographic position. Grid Tied Inverter Inverters get Direct Current power and transform it to household (Alternating current) power. How Do Gird Tied Solar System Work? 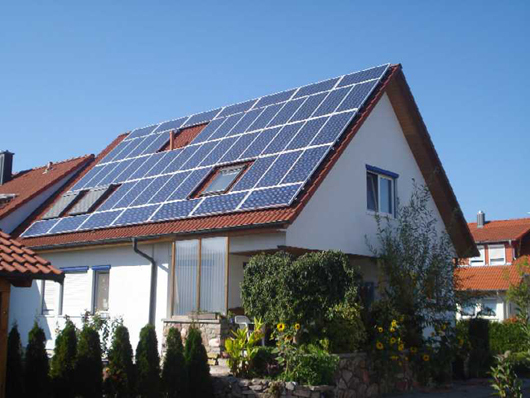 What is the advantage of grid Tied Solar System? How to Wire Grid Tied Solar System? How to Size Grid Tied Solar System?